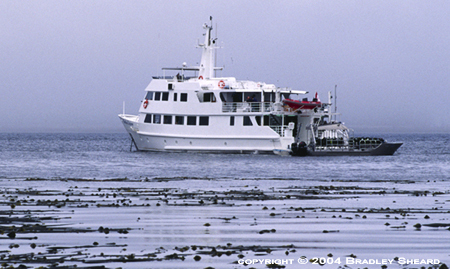 In June, 2000, I managed to get a berth on the maiden voyage of the brand-new dive vessel Nautilus Explorer, run by Mike Lever of Vancouver. A truly unique vessel, the Explorer is a mini-cruise ship and dive vessel all in one. This expedition set out from Vancouver, British Columbia and headed north—as far north as Juneau, Alaska, diving all the way. For two weeks we dived and explored the inside passage of British Columbia and Alaska and the Queen Charlotte Islands. It was a superb trip that I'd recommend to anyone!